One of the biggest factors of success for all reef aquariums is proper nitrate and phosphate export. There are many factors involved in how your nitrate and phosphate will run and it’s important to understand these factors in order to reach a proper balance that produces thriving corals, minimal algae, and reasonable work for you. Nutrient control in reef tanks comes down to one main concept, nutrients go in via feeding and need to come out or else they are available for algae. In order to remove the nutrients you are adding, you will need to implement at least one of the methods below, although most systems will require multiple methods of nutrient export to reach a healthy balance. Water changes can be critical for a thriving reef, but their impact on nitrate and phosphate can be limited. The normal recommendation for water changes in a reef is to do 10% weekly, which will have a negligible impact on nitrate and phosphate. What little reduction they create is usually compensated for by normal feeding. Water changes really only have an impact if they are larger and more frequent. However, doing large water changes in a reef is almost never the answer and makes it very easy to cause a new problem since stability is so vital to reef inhabitants. It’s also expensive to maintain such a schedule and requires you to have a setup at home to prepare and heat the water. Even then, it’s generally not recommended to go any larger than about 20% because of the changes this would inevitably create. Water changes are best used to keep things going, not to make major changes. When the tank needs a major improvement (such as when tackling a massive algae outbreak, correcting severe overfeeding, etc.) the water changes should still be kept to only 10-20% and done as often as daily. A week of daily water changes can make a big difference in correcting problems, but isn’t the goal of any aquarist and should not be the norm for any saltwater aquarium. The impact of denitrifying bacteria in the live rock is also surprisingly minimal. I think anyone would be hard pressed to find even a single example of a tank running with excess nitrate that was brought to ideal levels simply by adding more live rock, or to find a tank where the nitrate was kept under control by live rock alone while the phosphate remained an issue. So don’t give any more thought to this. Whatever is there is great, but not part of your solution in keeping nitrate and phosphate under control. Mechanical filtration is probably one of the most important aspects of controlling nitrate and phosphate because it is the one option that prevents them from becoming an issue in the system in the first place. By collecting and frequently removing waste, mechanical filtration prevents extra food and other particulates from rotting and releasing nitrate and phosphate. Filter socks are the most common option since most manufactured sumps include them and there are add-on filter sock holders that can be easily added to a DIY sump. They are highly effective if swapped out often enough and the socks themselves are cheap and can be used over and over again until they literally fall apart. Roller mats are quickly becoming the superior option to filter socks since they are constantly replaced as needed making them much less maintenance for the aquarist. They are still much more expensive than filter socks though, so it is up to you whether they are worth the higher up-front cost compared to filter socks. Protein skimmers are probably even more common than filter socks and found in effectively all reef tanks. Yes, it is possible to have a tank without a protein skimmer, but they certainly do their job well and tanks without them will be more likely to crash if certain things go wrong. Protein skimmers are excellent nutrient exporters and can help a lot in aggressively removing the waste produced by properly feeding a well-stocked system. A refugium is definitely one of the best options for nitrate and phosphate control. 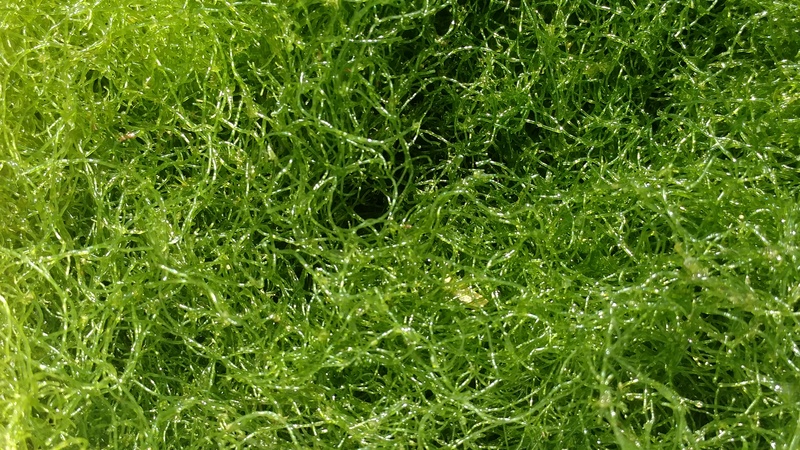 They remove both nitrate and phosphate, pose no risk to the livestock or system as a whole (assuming you are using chaetomorpha macroalgae and not any type of Caulerpa), and works even if it is neglected from time to time. Essentially, a refugium is just a chamber in the sump with a light over it that houses chaetomorpha macroalgae (commonly called chaeto, pronounced key-toe or kay-toe). The cheato consumes nitrate and phosphate making it unavailable to pest algae in the display. The key to a refugium is the light. Too many people slap a clamp on light from the hardware store with a basic bulb. These are not nearly intense enough to maximize the chaeto’s growth. 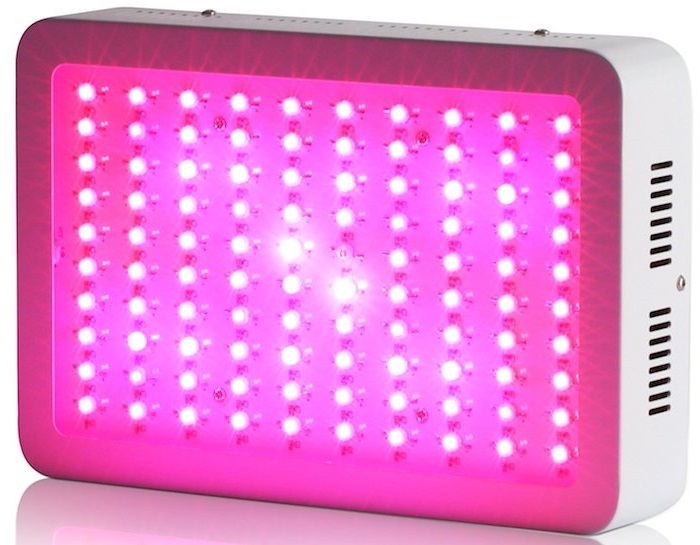 The best bulbs are LED grow lights made for hydroponics. They can be a mix of red and blue bulbs or all pink. Generally, the stronger the better. Although it is theoretically possible to have a light that’s too strong for the amount of nutrients in your system, this is very unlikely and even if it were to occur (evidenced by nitrate of 0 and phosphate of less than 0.03) you could simply cut back the amount of time the light is on. An algae scrubber is very similar to a refugium in function, but instead of cheato in the water, you grow hair algae on a plastic mesh that the water flows across. This exposes the algae to the air which can make it more efficient due to the increased availability of CO2 from the air. Lighting is just as critical to an algae scrubber as it is to a refugium. The other major factor is the area of the plastic mesh. Smaller mesh means a lower ability to remove nitrate and phosphate in the same amount of time and will require more frequent cleaning. Algae scrubbers tend to be more complicated to set up making a refugium an easier option to implement in most setups. Although commercial algae scrubbers exist, they are quite expensive and for a fraction of the cost, a DIY option could greatly outperform the relatively small commercial versions. Carbon dosing means adding carbon which fuels the growth of specific bacteria that consume nitrate and phosphate and are then removed by the protein skimmer. 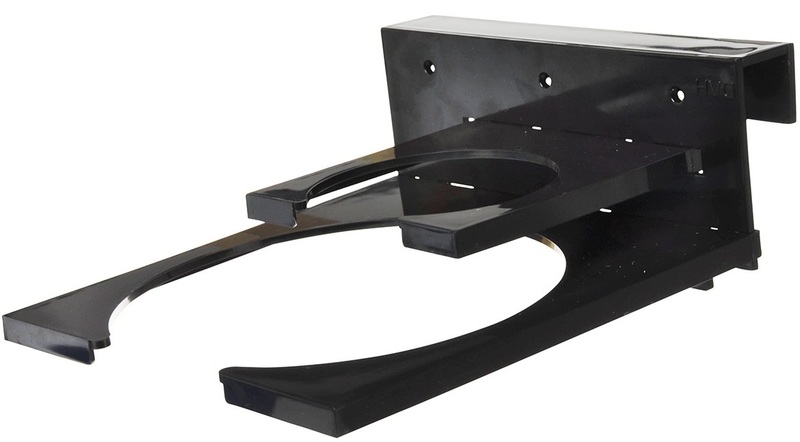 The protein skimmer is also vital when carbon dosing to provide adequate aeration since the bacteria themselves can consume enough oxygen to create problems in systems without aeration provided by protein skimmers. Even tanks with great circulation and surface agitation can’t provide even close to the amount of aeration that protein skimmers can. The carbon can be provided by dosing vinegar, vodka, Red Sea’s Nopox, or biopellets tumbled in a media reactor. The biopellets are a little less reliable because they can make it easier to overdose it, and their output will vary due to the constant breakdown of the pellets. Dosing Nopox or one of the other liquids is best because the dose will be much more consistent. Using an automated doser is highly preferred to provide consistency. Manual dosing will work, but inevitably you miss doses when life happens. Granular ferric oxide (GFO) removes phosphate, but not nitrate. It is also slowly saturated and can clog up. Media reactors tend to get clogged up anyway. That said, GFO can still be a great option, especially in new tanks that haven’t stabilized yet. But it is usually best to rely on other methods first and use GFO if needed. It shouldn’t be the first go to. Purigen polishes the water and removes nitrogenous waste (including nitrate and its precursor: ammonia). It is a great compliment to GFO since it removes the nitrate that the GFO does not. It also has the same drawbacks as GFO, needing a media reactor, slowing reducing its effectiveness as it does its job, and should not be the first option. But again, it can be great under the right circumstances (the same as GFO). Many people hate to recommend more livestock to fight an algae problem. They feel this is a way of treating the symptom and not the actual problem which is a tank that is overstocked, overfed, and/or receives inadequate water changes. Although this is a valid point and it can be ineffective or even harmful to simply throw livestock at a problem while ignoring other possible, and even more likely issues, livestock still play a vital role in a well-balanced reef system. You definitely need to examine these other factors BEFORE tossing more livestock into the tank, but if there aren’t major changes needed with these other factors, more algae eating livestock may be the best next step. Every reef tank needs algae eating livestock. You can’t have light, nutrients, and water and not get algae, it’s impossible to avoid. So not recommending a proper algae eating crew would be naive or even negligent. 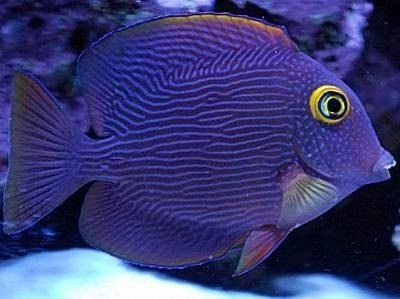 Tangs are a great option. Bristletooth tangs such as the yellow eye kole tang, tomini, etc. are the best options. I prefer the yellow eye kole tang and think every tank that is large enough should have one. 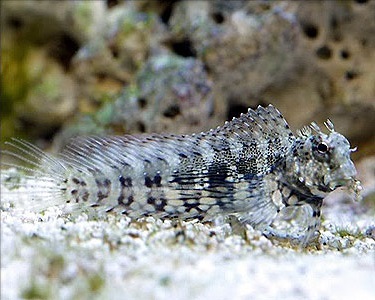 Lawnmower blennies are another great fish for every reef tank. Whether you also have a tang, or the tank is too small for a tang, a lawnmower blenny can be a lifesaver. And they aren’t going to bother other blennies such as a tailspot. Snails are another great option. Trochus are one of the best because they can turn themselves over if they land on their back and can even breed in the tank. Astrea are good too, but you may need to turn them over if they land on their back. Turbo snails can be good too, but they are large and can knock over frags if you didn’t attach them (which you should do anyway). Hermit crabs are another great option. I prefer to have many more snails than hermits, but hermits still have their place. Scarlet hermits are the best, but Halloween, orange knuckle, and blue knuckle can all be very helpful as well. Even the small ones such as red tips and blue legs help (although their small size makes their impact negligible without a very large population of them). Although it is MUCH more common for reef tanks to have inadequate lighting, it is possible to overlight a tank. Even if you adapt the corals to it, very strong lighting can cause algae problems, even in ultra low nutrient systems. I have had tanks with algae thriving while there was no detectable nitrate and phosphate. With enough light, the algae will make use of whatever nitrate and phosphate is passing through the system. So although this is unlikely, it is still worth mentioning if the other possibilities listed above have been corrected. Hopefully, if you have found that you are overlighting the system, it is with LEDs that allow you to simply turn down the intensity of the lights (especially the white light). The photoperiod being too long is more common than the intensity being too strong, so be sure not to have the lights on for too long. Most people recommend somewhere between five and eight hours of white light with an extra hour of blue on each end. If you are above this range or in the upper end, try cutting back on the photoperiod for a few months along with any other necessary corrections. Many people may be surprised to find overfeeding as the last topic in this article, but it is for a reason. Like overlighting, overfeeding is certainly possible, but I have found it is much less common than many people think. I have found that success with saltwater fish (most of which are wild caught) is highly dependent on them feeding well. Getting them to eat is the most important first step with any new fish. Long term success is highly dependent on them eating well for years. If you focus too much on feeding less as a means of controlling nitrate and phosphate, you will almost certainly starve your fish over the course of years. I think it is much better to focus on getting nutrients out of the system efficiently, which you need to do no matter how heavily you feed, than to starve the system. Yes, many new aquarists overfeed, and this is even more likely when the tank is new and lightly stocked. But the reality is that a fully stocked reef tank can handle a lot more food than most people feed. Underfeeding in order to keep nitrate and phosphate in check should be a red flag that you have inadequate nutrient output and need to revisit the topics listed above. In my experience, underfeeding is usually utilized as a way of avoiding the nutrient export options. You have to get the nutrients back out, so use them! The best success in a reef will be produced when more than adequate nutrient exports are built in to the system from the beginning. This usually means filter socks, a properly sized protein skimmer, a strongly lit refugium, and an appropriate algae eating crew. Together, they will allow the system to be fed well and still minimize the amount of nitrate and phosphate left available to nuisance algaes.